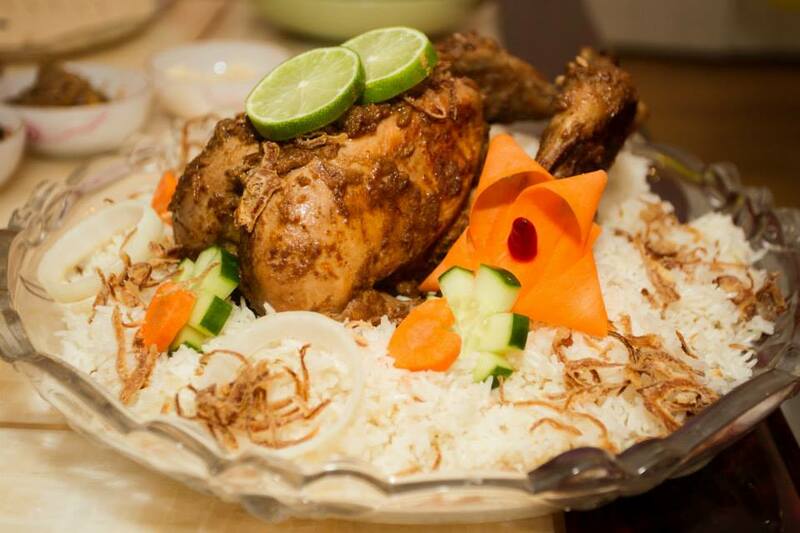 Murgh Musallam is whole chicken roast cooked in yogurt and spicy fried onion gravy. Though it looks like lot of work but actually pretty easy recipe with extravagant result. Enjoy. 1. Cut slits every thick part of chicken, wash, and pat dry chicken. 2. Marinate chicken by rubbing papaya, garlic and 1 teaspoon salt and let it sits for at least half hour to overnight. Tie legs to keep it good shape. 3. Heat pan with oil and fry sliced onion till it becomes golden brown. Remove fried onion from oil and make powder / paste of it. 4. Add ghee in same oil and add chicken with cardamom, clove and cinnamon. 5. Fry chicken from all sides till it becomes change the colour and gets lite golden colour. 6. Add rest of ingredients with ½ teaspoon salt and cook it till oil is separated. With help of spatula stuff chicken with gravy and boiled eggs. 7. Add ½ cup of water and cook it under closed lid on low heat about ½ hour or till it becomes cooked (if needed you can little bit water). Add kewra Essence few drops. 8. Serve hot Murgh Mussallam with polau or paratha. Excellent recipes. We are from Chittagong,live in the UK. It would be more better if you would make the video of the cooking. Thank you, Best of luck.